Pipeline builder should pay up after seizing property. There are hundreds of thousands of miles of natural gas pipelines across the United States — pipelines that help provide Americans with affordable energy and high-paying jobs. But many people may not know that companies that build these pipelines enjoy some powers of eminent domain that allows them to compile the property necessary to build vast stretches of infrastructure. With that power has come the temptation to abuse it. Consider the case of Gary and Michelle Erb. They purchased a 72-acre tract of land in Pennsylvania in 2008. They built a home on the property and envisioned a time when their three sons would also own homes there. But a decade after they moved in, the Transcontinental Gas Pipe Line Company (Transco) requested permission from the federal regulators to build a section of its Atlantic Sunrise Project — a natural gas pipeline with a 900-foot blast radius — roughly 400 feet from the Erbs’ home. While Transco has assured the Erbs that an explosion was unlikely, the couple wasn’t taking any chances. They’ve already moved. As Forbes magazine outlined, Transco offered to pay the Erbs for a six-acre easement. The couple declined, but Transco authorized eminent domain and forced the couple to give up their property anyway. But more than 18 months after the company began digging up the couple’s land, the Erbs still haven’t been paid. 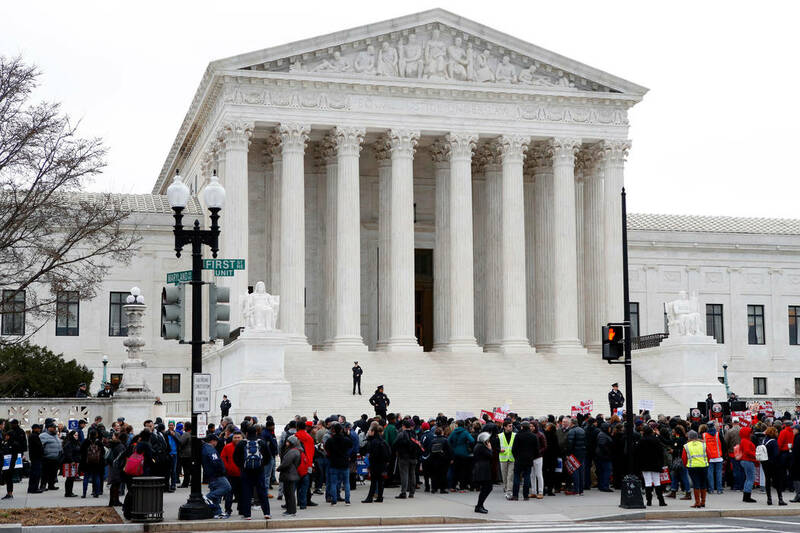 The Institute for Justice has asked the U.S. Supreme Court to intervene. Fine. But the public’s desire for cheap energy does not trump private property rights. If the eminent domain is authorized for an expedited project, the land owners still deserve to be made whole as quickly as possible. If that inconveniences the energy developer, so be it. There are important principles at stake involving due process, the Fifth Amendment and property rights. Let’s hope the justices agree to hear this case.